Bank of America in $10 Billion Foreclosure Settlement With Fannie Mae | The Law Office of Emil Fleysher, P.A. Bank of America in $10 Billion Foreclosure Settlement With Fannie Mae | The Law Office of Emil Fleysher, P.A. Bank of America has settled another Foreclosure Related law suit, this time with Fannie Mae. As part of Bank of America’s continued effort to settle with Fannie Mae, the bank has announced approximately $11.6 billion dollars worth of settlements as well as a $1.8 billion dollar sale for the collection rights to home loans. 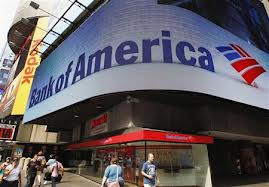 Bank of America is paying $3.6 billion to Fannie Mae to buy back $6.75 billion in bad loans that the bank had mistakenly sold to the government. This deal will successfully clear up all claims filed against Bank of America by the government-owned company. These and other purchases will result in only a small fourth quarter profit for BofA in 2012 despite most of the settlement money being covered by their reserves. A separate settlement between Bank of America and Fannie Mae requires the payment of $1.3 billion to Fannie Mae over foreclosure delays. Bank of America also sold the rights to collect payments on about $306 billion of loans to Nationstar Mortgage Holdings and Walter Investment Management.